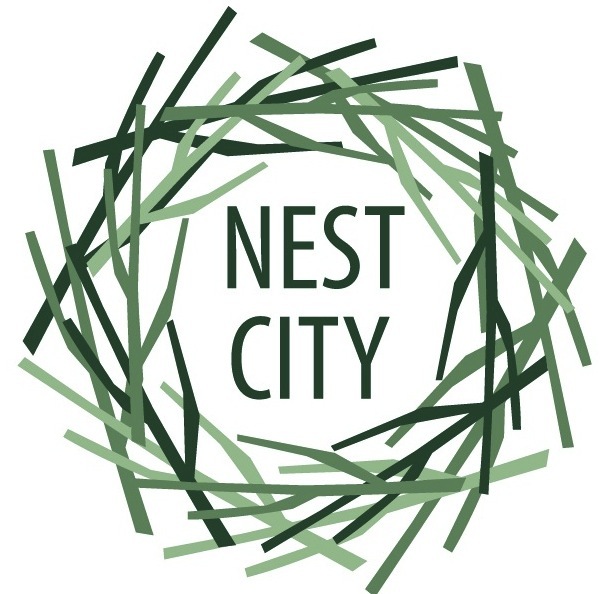 In the May 15, 2013 edition of Nest City News, I wrote about knowing the purpose for the structures we create for ourselves. If for nothing other than the most practical of reasons, if we don’t know what a structure is for, it won’t do what we want it to. This boardwalk, put in place to aid travel, is now a hazard. It is slippery and uneven. It is ready to harm the traveller, but what can we do with structures like this? Walk on it. Not noticing the danger, we risk harm and carry on. This can be conscious and unconscious. Walk on it carefully, making careful choices about how to use the structure to our benefit while minimizing risk of injury. Walk beside it, making a new and safer path. Sometimes this means trudging through the mud and meeting the real obstacle face-to-face. Throw it aside, removing the danger for self and other. It’s pieces might also be useful serving other purposes. Walk on it to destroy it to a point where there is no structure left – and no hazard. Simply aid in its slow destruction. The risk is injury along the way. All five patterns have a role to play in our relationships with the structures we live with every day. Each is appropriate in its own way, in its own context. As I reflect on this specific trail, and our rescue off the trail two years ago after a boardwalk fall and broken leg, the first pattern was not our practice. 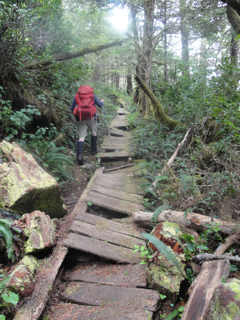 And in the push to complete the hike we walked on boardwalks carefully and beside them – we did not throw any aside to make the path safer for others behind us. I have to admit we were caught in the momentum of the moment and our immediate task. Everyday we are in relationship with structure. Structure can take the form of the protocols of family life, the policies in our workplaces, the design of our cities or the laws that govern our expectations of each other as we live increasingly together in cities. In just the right balance, there is enough chaos to evoke collective wisdom, and enough order to discover wise action. Choosing the right kind – and amount – of structure is a BIG decision that has everything to do with knowing purpose. What purpose needs to be served by the structure? What is the minimal structure needed to serve that purpose? What purpose needs to be served by the structure now?